Awards and Appreciations. Who doesn't wants it? Everyone loves to get appreciated and recognized for something that they are good at. The other night while checking a code, I received a Gmail with a blogger giving me a Liebster award. Blogging awards are not new to the bloggers who blogged in the late 2000's. Those days people never used to worry about how many backlinks they had, or page views or color of their template or how many facebook likes or Twitter followers they had! They used to write what was on their heart. And when such a content reached their target audience, their heart danced with joy. Such was blogging during those days, they never worried about stats and other technicalities. They used to be content with their writings and other creative things that they did. After the arrival of brand blogging and stuff, the entire essence of blogging changed. Some bloggers were enticed by brands and the associated blogging communities that presented them with vouchers and gifts as a gratitude. Later many fell prey to it. Brands realized the power of blogging and it's hidden potentials. One after another, brands unleashed the power of blogging to the max and used it for their marketing. Trust me , before all these, life was bliss! Many of who started blogging in the 2000's would relate to what I'm stating here. Bloggers would fondly greet and appreciate each other by presenting blog awards. Some of them include - Rockstar , Blogging Superstar, Versatile Blogger, All round blogger, Kreative Blogger and many on. The latest on the list is the Liebster award. I never really know what it means but on extensive research I realized that it is a blogger award given to fellow bloggers who are good at their own niche! Liebster means dearest, sweetest, kindest and much more. Let's not dig too deep into it. But here is the statement for it. 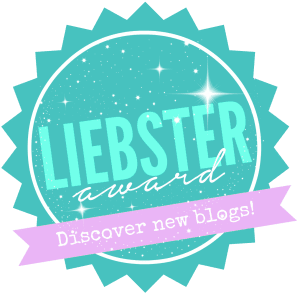 The Liebster Blog Award is an exciting opportunity to develop relationships with our fellow bloggers from different domains. This is a peer-nominated award which acts as a chain blog post. This is mainly intended to connect with new bloggers while building your email list. A blogger who goes by the name DeeDee in the blogworld nominated me. I am not an award freak or someone who would like to receive awards. Those days we used to do it for fun. Thank you Deepika for honoring me with the Liebster. You are too kind. Thanks! I hereby accept this award presented to me by her. Here is the Q&A that DeeDee had given to me. 1. What is the best thing that has happened to you? A1 - Being born in a family that loves me unconditionally and serves as a support structure during my time of crisis and distress is the best thing that happened to me. 2. What is that one thing or incident in life that you regret? A2 - Never listened to my heart when subjected to pressure. I applied logic and ignored what my heart craved to hear me. Sadly, I had betrayed my own heart. I would regret that decision for a lifetime. But things did work well and in some or the other way, that logical decision worked well for me. 3. If there is one person in this world you would get to say Sorry, who would it be and why? A3 - Harneet. I don't understand how things unfolded drastically and I soon landed up on her block list for some weird petty reasons that I could not figure out. I still miss her and I would not mention the reason because it's personal. 5. Who is the last "Received call" on your mobile phone (Eg: carpenter, dad, a friend) A5 - Neeta, my best buddy ! 6. What is the wallpaper on your mobile phone (Eg. Nature, my family, my pet) A6 - Some random Lenovo inbuild wallpaper. I don't really care about all that. 7. If ever, you get an all paid trip anywhere in this world, where would you go? A7 - I would visit Srilanka and Switzerland. My ancient roots may belong to India but our immediate family had migrated to Srilanka many years back while we decided to stay back in India. The one's who went there migrated to other developed countries due to the Civil War in Srilanka. Most of them have settled in the Norway, Switzerland, Singapore, Denmark, Canada and the US and visit India to meet all of us. 8. What is the worst pick-up line used on you A8 - I seldom remember such things. 9. What is Happiness for you A9 - Happiness is something that gives me self-satisfaction be it whatever. Creative things make me happy. 10. One advice you would give your teen self A10 - I have crossed that stage 9 years back! No longer a teen ;-) And it wasn't a happening phase because I chased excellence and education chased me.. It was a kind of a relay race where I forgot what life was all about. I should have paused for a moment and looked back at the good things that life offered me. 11. If there was a life after death, what would you want to be reborn as? Would love to be reborn as a human in the same family that I live now. I would love to be the same lovely son to my doting parents and a caring brother to my younger sibling. Now that you have read this. It's time to announce the rules. Write a blog post about your nomination, displaying an image of the award. Answer the 11 questions the person who nominated you asked you in his/her blog post. Nominate 5-11 other starting bloggers who you think deserve this award and come up with 11 questions of your own for them to answer. List these rules in your blog post. I nominate the following bloggers for going strong in the ongoing April A to Z Challenge. These guys are a source of inspiration and their dedication towards blogging makes me speechless. You are awesome. Chandni - For churning out excellent blog posts with each letter. Awesome Writer. Dixita - For coming up with little short stories that inspires her. Mostly her Grandparents and friends. Her hostel days has taught her valuable lessons in life. Abhinav - A new blogger on the roll. Such a great talent! Ramya P Rao - Another young talented blogger who has been predominantly writing about different cities and things that amuse her. Seeya - For sharing life lessons through short blogs. Too Good , Maa'm. Keep up the good work. Rohan - His bold take on the April A to Z letters through sensual poetries. Indeed Hot! Mithila - A dynamite who posts new words through the whole month of April. You are our champ, Mithila. Keep up the good work. Aseem - Award winning blogger who offers delightful blog posts to his readers be in form of 55 fiction or 6 word stories. Shalini - She writes about powerful topics, be it H for Hardwork , C for Choice. She is too good at it. ShalzzZ - I'm a great fan of her cullinary skills. Amazed at how she has so much time for posting A to Z about Chicken dishes. Parul - Name is enough. Last year's champion blogger and one who writes powerful blog posts. Inderpreet - A Blogger whose blog I have discovered in the month of April. Dear All, you all should know that you are blessed with some good talents. So keep up the good work and keep blogging. I couldn't select three best because how can you select just three when you have 28 bests in your list?! Cool! 1. Who introduced you to blogging? Was there any trigger? Tell your blogging journey? 2. What is your opinion about the #AtoZChallenge? When did you first take part? Where did you hear about it? 3. Share the best blog post that you have written till date. 4.One day when you wake up and realize that your blog is deleted and can't be recovered. What would you do? 6. Do you have any blogging inspiration? Name any one of them who inspired you to blog. 7. Is your blog special to you? If yes then how? 8. Do various blogging communities help in bringing blogs and bloggers closer? What is your take on it? Which is your favorite blogging community? 9. One thing that you want to change in your life? 10. Do you listen to your heart or mind? 11. What is your message for your fellow bloggers? You all are free to accept or reject the Liebster award. Do remember that I have been closely watching all your blogs since past few days and you all are good and awesome. I love your blogs! Will graciously accept this accolade and shall write the post and share its link soon. An award :)that tii first time. Thanks a ton Stephen. Ur words motivate more to keep improving and writing better. Accept this appreciation and will post about it soon. Good to hear that bro! Blogging has come a long way in the many years you've mentioned. But despite the evolution, the one thing that stands true is the voice of a writer. If it echoes in their every word, a blog is going to be a success, sooner or later.